Nothing to do but move in!! Renovated 5 Bedroom Home situated on a 7050 Sq Ft Private West Facing Beautifully Landscaped Lot overlooking Private Tennis Courts. 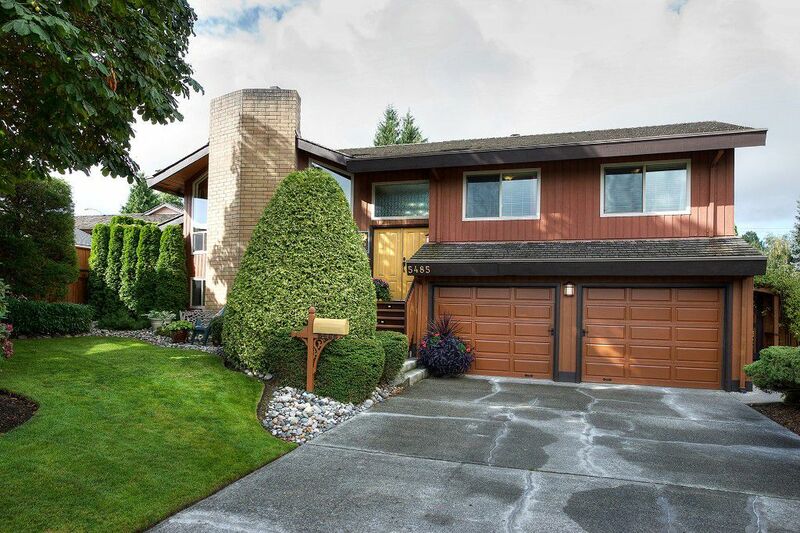 Easy Access to Freeways, Mall, Shopping & Schools yet quietly situated on a No-Through Street. The Main Floor has Wood Floors Throughout, Living Room has Vaulted Cedar Ceiling, 2 Year Old Open Concept Kitchen w/ New Appliances & Quartz Counters Overlooks the Dining Area & Family Room which has Sliding Doors to Deck & View of Coast Mountains. The Master has a Full Ensuite & French Doors to the Deck. 2 Other Bedrooms & Full Bath complete this level. Downstairs can easily accommodate an in-law: it has 2 Bedrooms (One with Access to a Covered Deck & Full Bath), plus a Flex Room & Family Room. Double Garage & Large Storage Sheds.